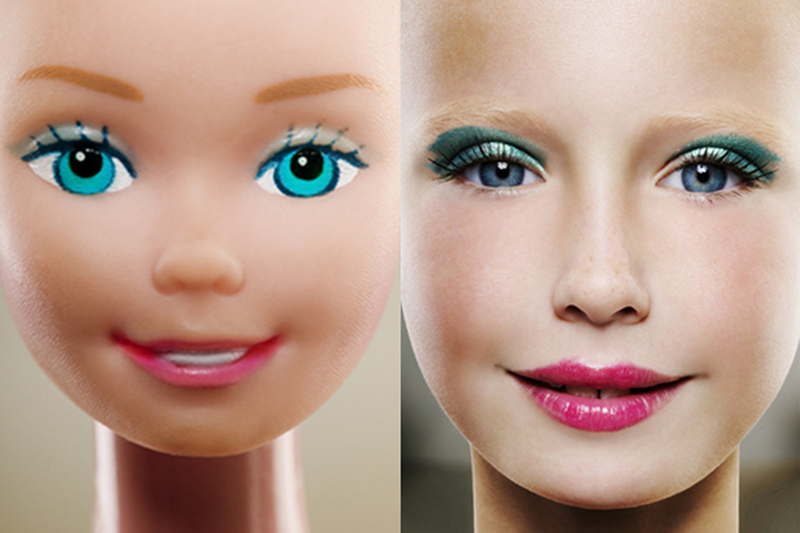 The séries Flesh & Plastic (2005-2008) explores the commoditisation of children in service of adult driven advertising, the paradoxal relationship of the child as both a consumer of objects and a child-object. 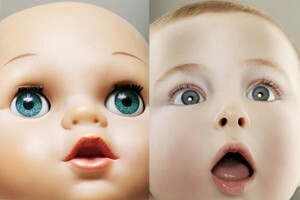 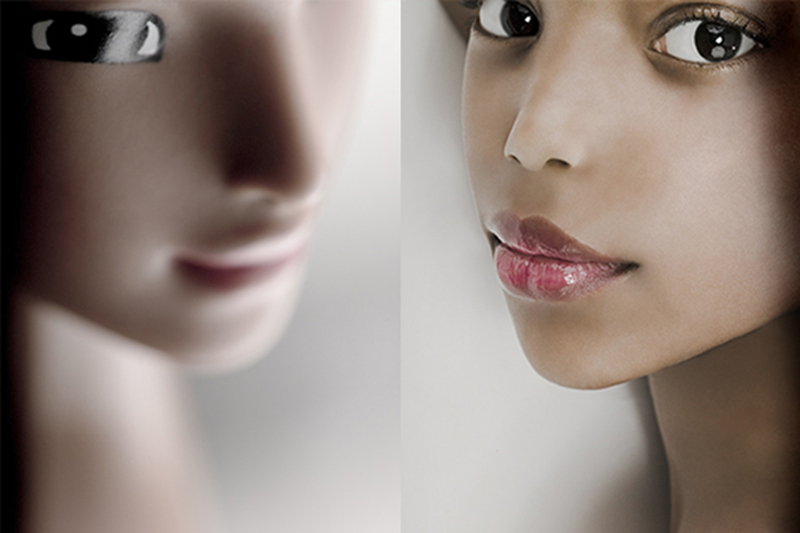 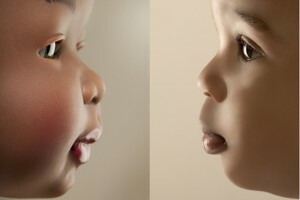 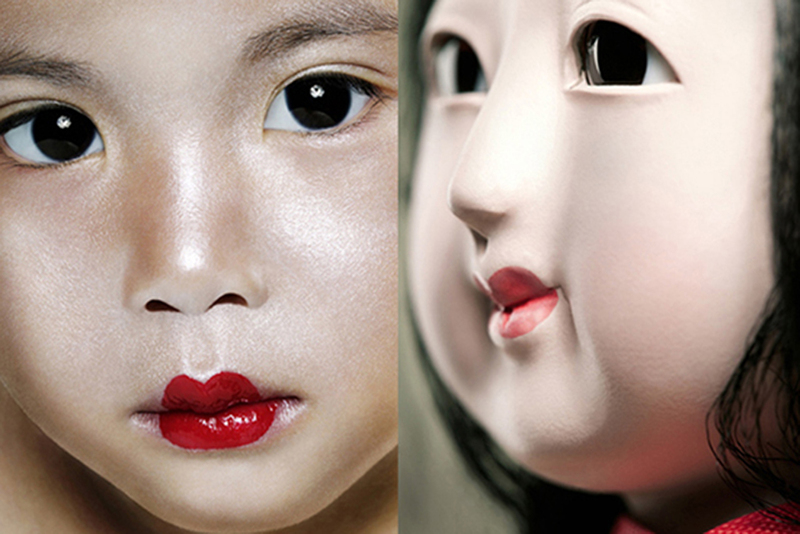 The séries consists of diptychs which juxtapose a child’s actual image with that of a doll replica. In each case a duality is created: flesh/plastic, reality/fantasy, animate/inanimate, living/non-living.